CLICK HERE FOR OUR LATEST EQUINE CASTRATION OFFER. Stallions and colts can be dangerous, especially near in season mares. Without castration they can lead an isolated life, so by castrating they can be turned out and be more socialised. There are different types of Castration…. Recommended for horses under 4 years of age, an open castration can be done either at your yard or in our equine clinic. This quick procedure by our vet and involves a short general anaesthetic, where the horse lays on the floor. Horses can be turned out with mares within 6 weeks of the procedure. Those horses who were displaying ‘stallion like’ behaviour often calm down in just a few weeks. Closed castration is safer for older horses (over 4 years) and has to be done here in our equine clinic. 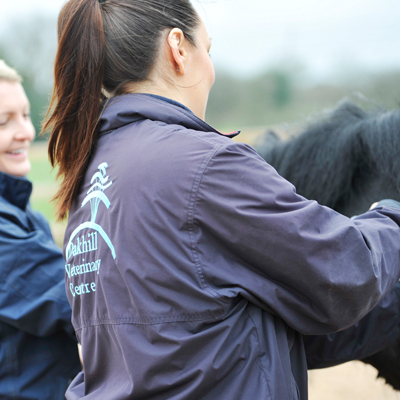 The procedure involves your horse staying with us as an inpatients for 2-3 days.